Literature Online offers numerous Look ups (a.k.a., browsable indexes), so you can easily find spelling or format variations of, for example, an author's name or a journal title. You can find the Look up links on the advanced search pages (All of Literature Online, Primary Texts, Poetry, Drama, Prose, and Criticism, ABELL, MLA International Bibliography*) and available look ups vary by search page. The following is a complete list of all available look ups: author, author as subject, author ethnicity, author nationality, author's work, country, editor, folklore topic, genre, language, language of publication, literary movement, literary period, linguistics topic, literary influence, literary theme, literary topic, national literature, performance medium, period, place, publication title, sponsoring organization, subject heading, subject language. For a description of these fields, please see the searchable fields table to the right. author, publication title, language of publication, subject heading, author as subject, author's work, folklore topic, genre, linguistics topic, literary influence, literary source, literary theme, literary topic, national literature, performance medium, period, place, subject language,. A unique number that identifies a specific document. ALL searches anywhere in the document, including the full text whenever is available. searches anywhere in the document, except the full text whenever is available. Use to find documents or works written by a particular author. Try searching on both the full first name and initials in order to retrieve all publications by a specific author, or search for last name only for a broader search. Recommended using the look up list. Person who is the subject of the document. Note that this field also contains the titles of anonymous works, folk works and other works that lack an identified author, e.g. 'Beowulf', 'The Sopranos'. Applies to the Criticism content type. Work of literature discussed in the document. Applies to the Criticism content type. Locates the occurrence of search words in the title of the document. The document's type - book (monograph, collection of essays, or article within), dissertation abstract, (scholarly) edition, journal article, translation or website. Search for works created by authors of a specific ethnicity. It is important to note that the vast majority of authors in Literature Online have not been indexed by ethnicity. This search will only retrieve hits for those authors who belong to one of the ethnic groups which we have selected for inclusion in our database. These ethnicities have been selected on the grounds that their cultures have become significant areas of study for literary and cultural scholars. Subject in folklore studies addressed in the document. Applies to the Criticism content type. Literary genre addressed in the document. Applies to the Criticism content type. This search field looks for the eight digit International Standard Serials Number (ISSN), where available. Hyphens are optional. Use to locate the original language of the document. Applies to the Criticism content type. Subject in linguistics addressed in the document. Applies to the Criticism content type. Person or thing that has been influenced by the subject defined in the classification. Applies to the Criticism content type. Search for works defined by a particular style or writing, group of writers, or other influencing factors. Many of these terms, such as "Pre-Raphaelitism", were used by the authors themselves. Others, such as "Metaphysical Poets", were only later applied to groups of authors by critics. In these cases we have taken current critical usage into account in assigning authors to movements. In particular, the terms "Lesbian/Gay writing, 1885-", "Feminist Writers, 1900-", and "Postcolonialism, 20th Century" include many authors who did not announce themselves as homosexual, feminist or postcolonialist, but whose work has been discussed in relation to those themes. Search for works written during a defined period of literary history. All authors in Literature Online have been indexed by literary period, with each author being assigned to the period(s) in which he or she flourished. 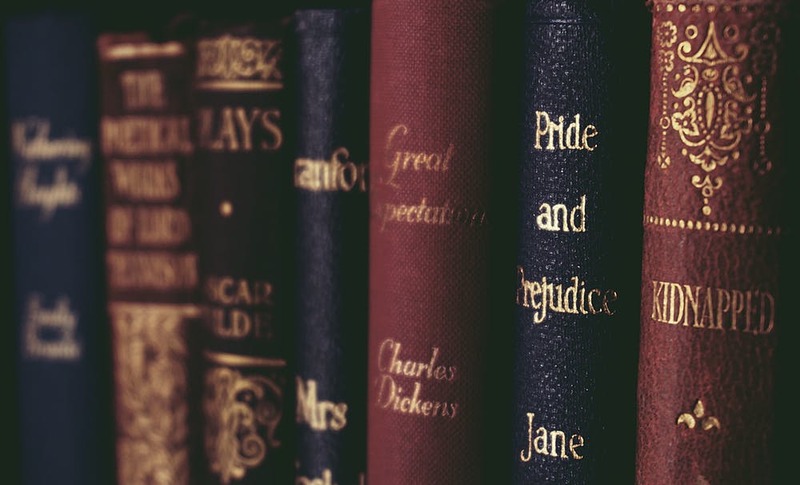 To be included in a given period, an author must have produced either a substantial amount of work, or some of his/her most well-known work within the dates of that period. Person or thing that has influenced the subject defined in the classification. Applies to the Criticism content type. Theme addressed in the document. Applies to the Criticism content type. Subject in literary studies addressed in the document. Applies to the Criticism content type. This field can only be searched if the database has a thesaurus. The prefix MAINSUBJECT.EXACT will be added to your search when you select the term from the Thesaurus. MAINSUBJECT is a way to limit to the subject heading originating from the thesaurus and does not include the use of terms coming from the location index, person index, company index or other classification terms. To search on terms that incorporate all of these subject and index terms, please use the Subject Heading field (SU). Nationality of the person or works adressed in the document. Applies to the Criticism content type. Use the National Literature field to search for subject terms relating to specific national literatures, e.g. 'German literature'. Film, theater, opera, television, or radio as subject of the document. Span of one or several hundred years as appropriate to the subject. Geographic subject of the document. Applies to the Criticism content type. Use to search by a specific publication or publications. Alternatively use the look up facility to select specific titles. Use to search documents from a specific year or years. Remember to use an OR operator when searching for more than one year. Alternatively use the Date range under the Search options. Publisher Abstracts were made available to users with the April 2008 upload. Use to retrieve books from a series. Controlled vocabulary words, names, or phrases that describe what the document is about. For more targeted subject searching, use subject sub-fields such as MAINSUBJECT or Author as Subject or Work as subject. Applies to the Criticism content type only. Language the document is about. Applies to the Criticism content type. When the document was added to the database.